In addition to many volunteer centers, Russia had 19 state crisis centers. In 2005 they were visited by nearly 60,000 women, three years later – by 77,000 and three more years later – by almost 80,000. Dozens of crisis centers operate in Russia to help women caught up in desperate situations and left without help from their families. Some of them have nowhere to live, while others are trying to get away from their alcoholic, wife-beating husbands. There are three women and four children in a small room. When the photographer attempts to produce his camera, a plump brunette of about 30 years throws up her hands and desperately pleads not to take photos of her: "I am hiding from my husband here," she says. Some of the women here have fled to the crisis center from their families, some are fire victims and others simply have nothing to feed their children after serious surgery. The idea of such a center is that this is a place where a woman go when no one else can help her. These centers provide temporary housing and work with each woman individually, offering financial, legal and psychological assistance. The scale of help seekers' problems can be entirely different: For some a week of assistance is enough, while others stay for months. "Now a woman with a child is staying with us, while we are raising money to buy her a ticket to her home town," says Armina, a psychologist at the volunteer-run Warm Home crisis center. "She got stuck in Moscow and just cannot fly home." For nearly a year and a half, Warm Home was sheltering a 29-year-old mother with three children. She lost her apartment in a real estate scam and soon was literally forced to move to a barn. By law, the child protection services had to seize all her three children, including an infant, because such housing is considered to be unsuitable for children. But officials agreed with Warm Home and offered the family to move there – rescuing them from the imminent separation. In 18 months, the mother managed to find enough money to buy two rooms in a provincial town. In addition to many volunteer centers, Russia had 19 state crisis centers as of 2014. They do not stand idle: In 2005 they were visited by nearly 60,000 women, three years later – by 77,000 and three more years later – by almost 80,000. Religious crisis centers are a different matter. Usually their main goal is to reduce the number of abortions (in 2014 alone, more than 920,000 abortions were recorded in Russia). These centers believe that if they offer a woman shelter, food and hope for a better future during the first, most difficult months, many will decide to keep the baby. "Our main criterion for admission is that a person herself must want to get out of the abyss," said Maria Studenikina, head of Home for Mom, a Moscow-based crisis center which is part of the Mercy support service. 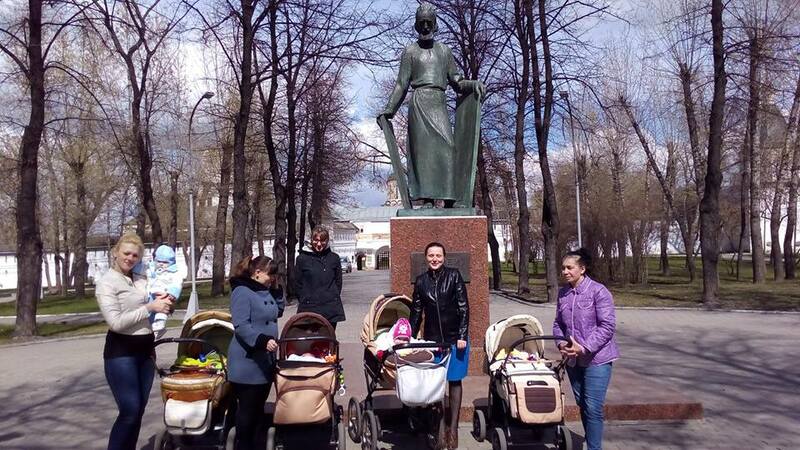 "Eighty percent of the contingent are socially adapted women who have been broken by circumstances: The husband died, their house burned down or they were abandoned by their families," said an employee of one of the Siberian centers. Of course, these centers do not turn into free hotels. Their main purpose is to help women to get back on their feet. When a woman comes to a center, the employees negotiate the plan of work with her: for how long she needs accommodation and what help is needed. One single mother, who had been raised in an orphanage, was helped financially (a stroller, diapers, food) and morally (almost two months of sessions with psychologists). For another woman with sick children, doctors were found, and volunteers from one of the centers still routinely take the family to the clinic and back. For a former repeat offender, the main focus was placed on finding a job for a person with a criminal record, while for young women rejected by their families, staff psychologists try to mediate in negotiations. "Sometimes you send a stern father a photo of a baby born to his daughter – and he warms up," says Warm Home's psychologist. Of course, crooks try to swindle their way into crisis centers sometimes, too. One woman, who came to Home for Mom, claimed that she could not return home since her passport had been stolen. Much later, it became clear that the cheat had pawned the passport and could not return home because she owed a large sum of money. But the vast majority of those who come to crisis centers really do need help. In a similar situation, a center managed to help a migrant woman whose papers had expired due to a prolonged illness. After frantically collecting the necessary papers and negotiating with the authorities, the volunteers managed to legalize her stay in the country. The director of Russia's largest state crisis center, Natalya Zavyalova, said the main problem for her work was not liars, but red tape: A lot of valuable time is wasted on endless paperwork. The truth will come out sooner or later, but the risk of spending a little time on a liar is more than compensated by saving those who are truly in need.